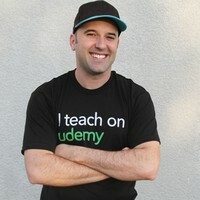 Who are the top Udemy instructors? I am sure this question must have come into your heads many times. Well, don’t worry, we have this post covering the gems of Udemy 🙂 Read this post in full to see all the top Udemy names! Udemy has 24,000+ worldwide course creators or instructors on its online learning & teaching marketplace. These instructors teach 1000+ topics to the learners in various different languages (Predominantly English). Udemy hosts approximately 85,000 online courses at the moment (Last checked on 9/16/2018). Around 20 million students are enrolled in these courses from all over the world. There is a teacher for everyone no matter which industry or field you belong to. With such astounding numbers, one becomes curious to to see the top Udemy instructors, the ones who are the difference makers. So, to do the needful, our research team sat down and came up with a list that you should consider reading! 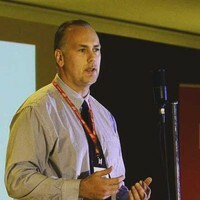 Software trainer John Purcell is the number 1 instructor on Udemy at the moment, his numbers are simply outstanding. He has a total of 1303388 students enrolled in 12 different courses. Mr. Purcell has 100k+ reviews from all the 12 courses he has listed so far. Even with such large amount of reviews, he has been able to maintain a great overall feedback score 4.4 out of 5. The most enrolled course for John has been, Java Tutorial for Complete Beginners (View here), the course is free to enroll and is the most enrolled course on Udemy. There are 916,330+ students enrolled in the course, the average feedback score for the course is 4.2 from 55k+ ratings. These numbers really speak for John and he richly deserves the number 1 spot on our list. 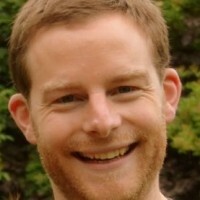 Rob Percival is the number #2 Udemy instructor on our list, his numbers are very high. As of today, he has 26 online courses that garnered him 1031290+ students. He’s been maintaining his average rating 4.6/5 from total 174, 500+ reviews received. 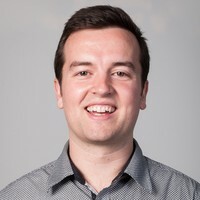 Mr. Percival has several best selling courses listed on udemy but the most enrolled course which has made him the number 2 instructor on our list is, The Complete Web Developer Course 2.0 (Link). This course has 183,650+ students enrolled till date. Mr. Ebiner is at number #3 spot on our list, he’s just behind Rob Percival with staggering 706,800+ students. Phil has a total of 83 courses listed on Udemy, his average feedback score is 4.5/5 from total 65,000+ reviews. His best selling course has been Photography Masterclass: Your Complete Guide to Photography (Link). This course has single handedly brought him close to 182,000+ enrollments to this day. Note: The above best selling course by Mr. Ebiner has been retired, so the url redirects to new one, which has 4.7/5 feedback. 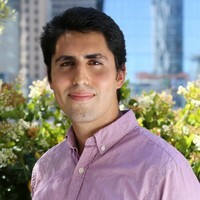 Jose Portilla is at #4 in our list of top udemy instructors with total 710,000 students. He has 17 courses listed on Udemy, his average rating is 4.5/5 after 186,233 total ratings. 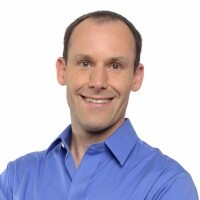 Based on his numbers, we can easily say, he’s of the top performing instructors on Udemy. Data Scientist, Jose Portilla also has several best selling courses, but the one which is the most enrolled is, Complete Python Bootcamp: Go from zero to hero in Python (Link). To this day the course has 373,200+ enrollments. Ermin Kreponic is at #5 on our list, his numbers speak for himself. With 555,600+ students enrolled in his 17 different courses, he definitely deserves a 2nd place on our list. Ermin has an average 4.3/5 rating from overall 44,000+ total ratings. The instructor is in our list because of his several best selling courses. The one which is the most enrolled course for Kreponic is: The Complete Ethical Hacking Course-Beginner to Advanced (Link). There are whopping 247,700 students enrolled in this course to this date. With this upward trend the course is going to get even more students in coming days. Ben Tristem is #6 in our list with total 7 courses on Udemy platform. His strength is 440,906 students and average rating 4.7/5 from total 104,850+ ratings. His yearly earnings must be huge with these numbers. 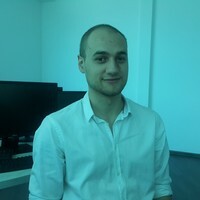 Mr. Tristem is the instructor of one of most enrolled Udemy Courses: Learn to Code by Making Games – Complete C# Unity Developer (Link). This course has close to 258,940+ enrollments which is massive compared to any other udemy course. 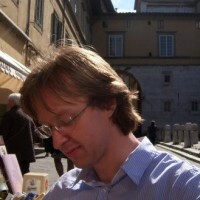 Laurence Svekis with 18+ years of web development experience under his belt is the new #7 Instructor on our list. He has a total of 424,168+ students enrolled in total 235 courses. He’s also one of the very few instructors who has listed more than 100 courses on Udemy. Laurence maintains 4.3/5 as feedback score from total 23500+ reviews received. The most enrolled course of Svekis has been: The Ultimate Web Developer How To Guide (View here). There are 48,090+ plus students enrolled in this course. The average feedback of the course is 4.2 from total 991 ratings received. Colt Steele is the new addition to our list, we somehow didn’t come across his profile earlier. Kindly excuse us for that ! With 399,170+ students, this amazing instructor is 8th on our list. His overall feedback score is 4.6 after 113,580+ reviews, he is one of the top rated teachers on Udemy. His course, The Web developer Bootcamp (Link), is one of the most enrolled Udemy courses. It has 334,000+ subscribers! Ryan Kroonenburg also makes into our list at #9 with total 391,538 students enrolled in his 11 different learning classes. His total ratings for all his courses is 4.5/5 after 132,650+ ratings. Considering the numbers, his earnings should also be in millions. Mr. Kroonenburg has been instrumental in teaching students cloud computing, his best selling and the most enrolled course has been, AWS Certified Solutions Architect – Associate 2018 (Link). This course has a total of 331,130+ students enrolled till now. Dr. Chad Neuman is Professor/Designer/Developer ad a Photographer, he’s currently at #10 spot in our list with a total of 313,950+ students. 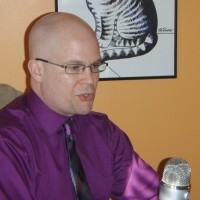 Chad has 11 courses listed on Udemy, his overall feedback score is 4.5/5 from total 12650+ ratings received till date. 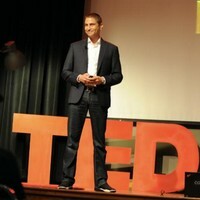 The most enrolled course for Chad Neuman has been: Photoshop Beginners Mastery: Zero to Hero in Photoshop (View here). Record 176,110+ students are learning from this course. Its currently one of the most enrolled courses on udemy. Number #11 on our list is the instructor of a very popular and award winning online course An Entire MBA in 1 Course (Link) Professor Chis Haroun. He is undoubtedly one of the top ten teachers on Udemy. He has created 45 courses, total 306,850+ students are enrolled in his courses. His average feedback score is 4.4/5 from total 41,060+ ratings. An Entire MBA in 1 Course (Link) has been the most enrolled course for the professor with 164,920+ students enrolled. 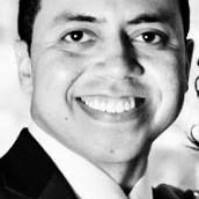 At number #12 is Anthony Alicea, he’s a software developer, architect and UX designer. Alicea has total 7 courses on Udemy. There are 198,450+ students learning from his courses. The average rating of his courses is 4.7/5 from total 61,932 reviews. 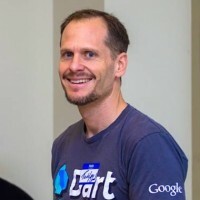 Chris Bryant is at #13 in our list of top Udemy Instructors with a total of 195,045 students as of today. He has listed 14 courses on Udemy, his average rating for these courses is 4.6/7 from total 28,916 reviews. With these numbers he seals his spot in our list of top online instructors. The most enrolled course of Chris Bryant has been, CCNA 2018 200-125 Video Boot Camp (Link). The course has brought in 76,940+ subscribers for the instructor and it makes him one of the best selling instructors for computer networking courses on Udemy. 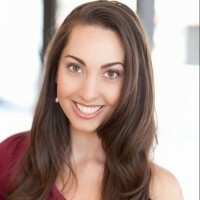 Vanessa Van Edwards is an Author and Behavioral Investigator, with a total of 185,910+ students in her 8 udemy courses. She stands at #14 in our list. Overall feedback score of Vanessa is 4.5/5 from 20,013 ratings in total. Her top course which puts her in the list is: 7 Scientifically Proven Steps to Increase Your Influence (View here). There are 127,090 students learning from this course! The course has 4.5 as feedback score from total 9834 reviews. 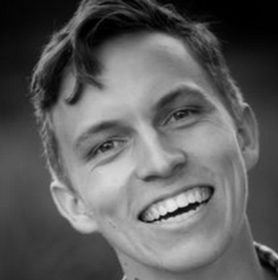 Todd Mcleod is at #15 on our list of top udemy teachers. The instructor has a total of 162,750 students enrolled until today. He has listed 17 courses on Udemy, average rating of his courses is 4.5/5 from total 19,405 feedback scores. Mr. Mcleod brings in a lot of experience to his courses. The most enrolled and best selling course for Todd McLeod has been, Microsoft Excel – From Beginner to Expert in 6 Hours (Link). This course has fetched him 81,318 students till date. We have done our research to find these names for top instructors/teachers on Udemy. If you are an instructor who deserves to be on this list please let us know. Email us directly info@onlinecoursesgalore.com or reach us via contact us page. The numbers mentioned in this post are as per the time we wrote this post, we will update these number once or twice at the end of every month. While researching we came across profiles that look like agencies or are a group of instructors. We have not listed them in this list as we only chose the instructors who are on their own. We might do another post on top agencies or groups teaching on Udemy in future. Hope you all find this post helpful and share it with your friends to spread the word. Let us know on social media if you liked this article, reach us on twitter @iOnlineCourses. P.S: We missed John Purcell’s profile the first time we published this article. We thank Mike from Wheeler Media (Twitter@mikewheelermedia) for correcting us. Consider looking at Top Udemy courses as well!